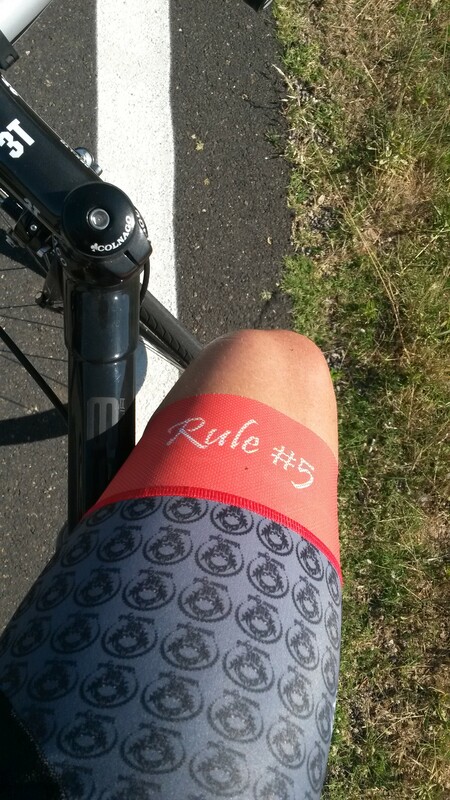 I thought this was a bit of a corny idea when I heard about it (sorry Coach, the story ends well though) but on my ride today I found myself comforted by the reminder (or admonition, as the case may be) of the esteemed Rule 5. I’m sure it’ll come in handy a few times in Haute Route. I like gimmicky. Sometimes that’s the difference between hanging on, sitting up, or burying everyone else.